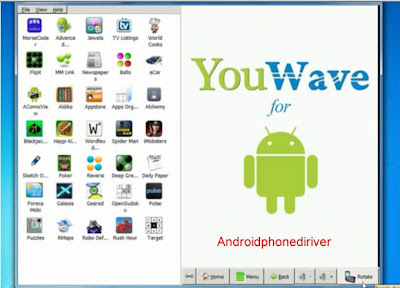 How many times have we thought about whether it is possible to run the applications we have available in the Android Market, but in our PC, perhaps that is most comfortable or just for fun. Well, this is already possible and fairly simply. So they've developed an application with which we can do this in a fairly easy and simple for anyone to run that application that we like in our PC. 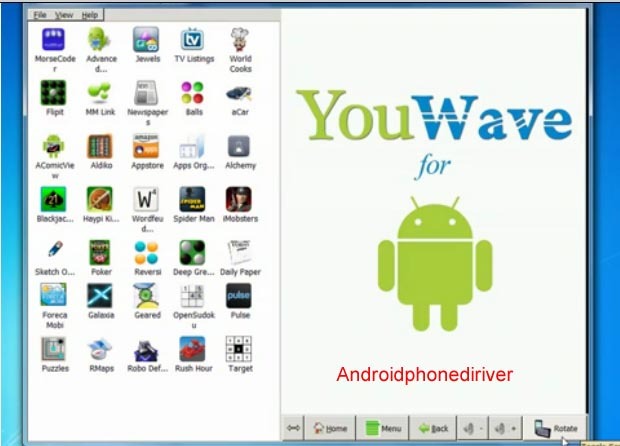 YouWave is a simpler emulators to run Android applications on your computer. Do not consume too many resources and is compatible with multiple versions of Windows from XP. The interface is simple and quite simple. Allows run games online multiplayer, as well as view them in portrait and landscape screen. Nor should we expect it to work perfectly, but it is interesting that for most applications not requiring the services of a mobile is quite useful. He is now in v.2.0, but expect updates with many improvements.